The grande dame of the Kohala Coast, which Laurance Rockefeller seemed to summon magically from acres of lava fields in 1965, the pulses with new style. Thoughtful renovations left Asian art and influences intact, while Copper Bar and Manta restaurant prove inviting options after enjoying the iconic attractions of Kaunaoa Beach and the championship golf course. 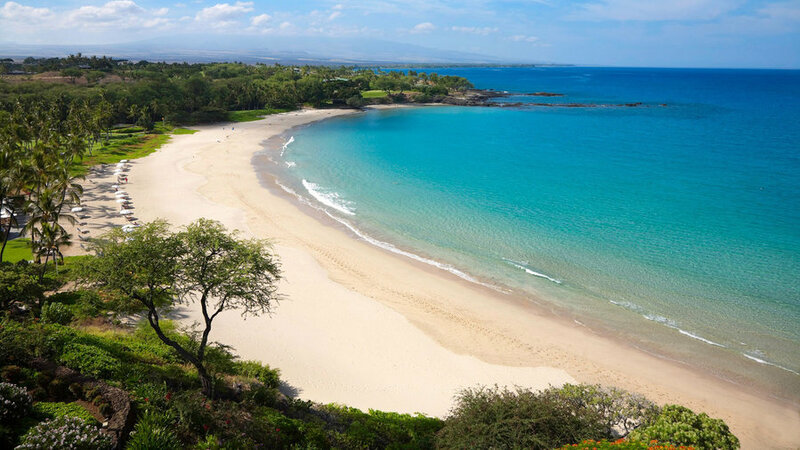 It may be managed as a Courtyard by Marriott, but the centrally located , with its sandy beach—a rarity in Kailua-Kona—is anything but cookie-cutter. 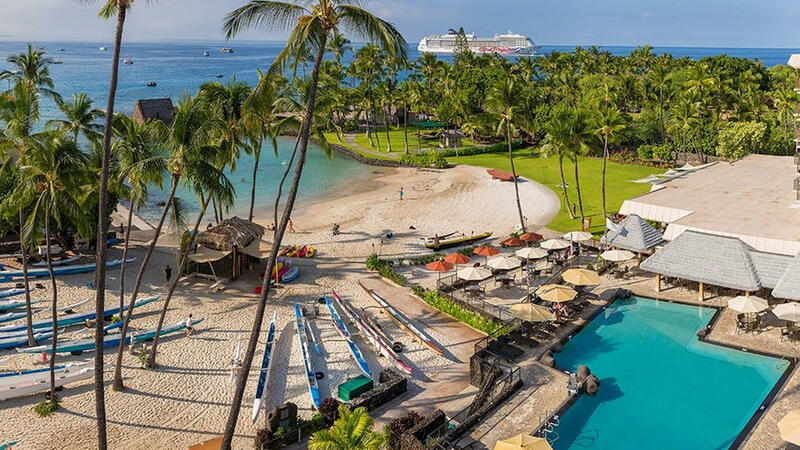 The historic royal compound on site, the lobby gallery of the late Herb Kane’s Hawaiian paintings, and its status as Ironman World Championship headquarters connect ancient and modern warriors via surprisingly affordable accommodations. 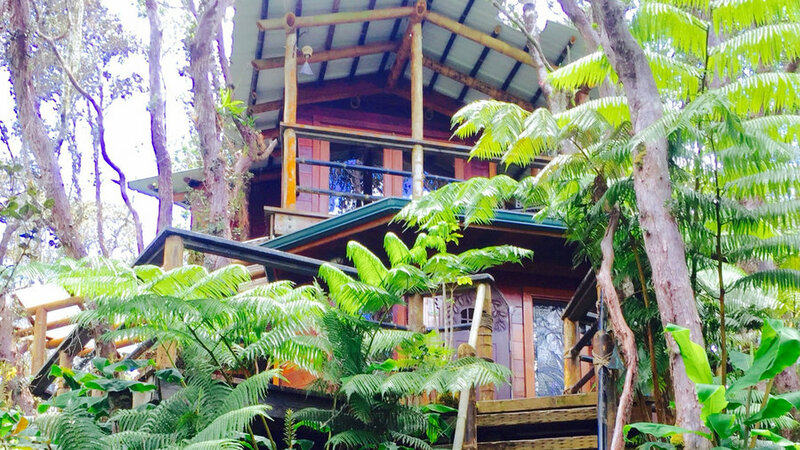 What better way to experience the island’s lush rain forest than to spend a night with a bird’s-eye view of it? The romantic , accessed by a garden path and flight of stairs, includes a cozy loft with queen bed, kitchen, outdoor shower and cedar hot tub, and eco-friendly measures such as composting toilet and solar power. One of the co-founders of the Hawaii Regional Cuisine movement and an early advocate of farm-to-table dining, Peter Merriman continues to give diners a delicious excuse to head upcountry. 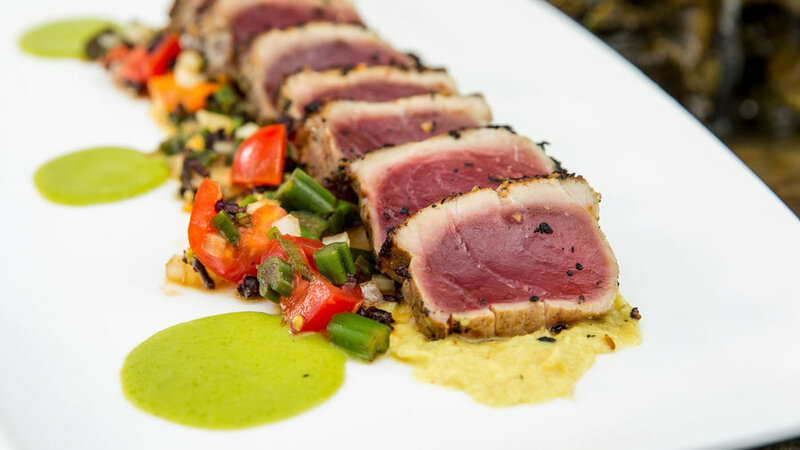 His original restaurant in Waimea (also known as Kamuela) couldn’t be closer to the source of local lamb, grass-fed beef, and produce, while fresh-caught seafood is always a standout. 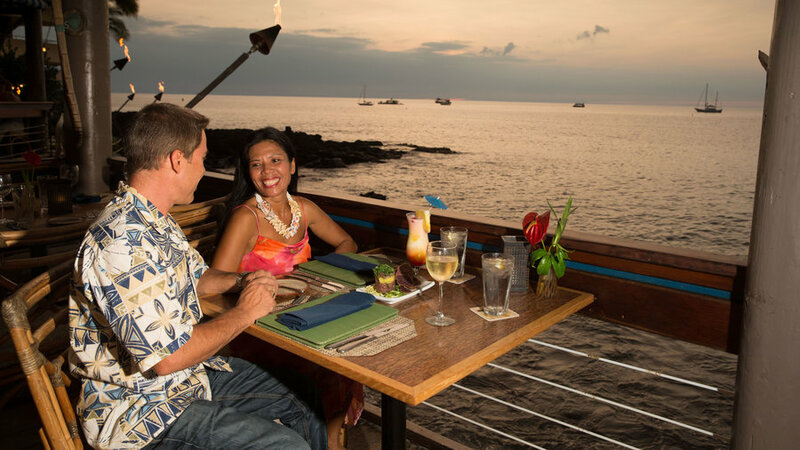 A mini-empire on the Kona waterfront, now serves breakfast, lunch, and dinner daily, along with happy-hour specials and dazzling sunset views. The original Huggo’s, known for seafood and teriyaki steak, recently created an artisanal cocktail lounge known as hBar and a morning menu called Huggo’s Sunnyside Up; next door, serves casual fare for lunch, dinner, and happy hour, accompanied by live music and hula. 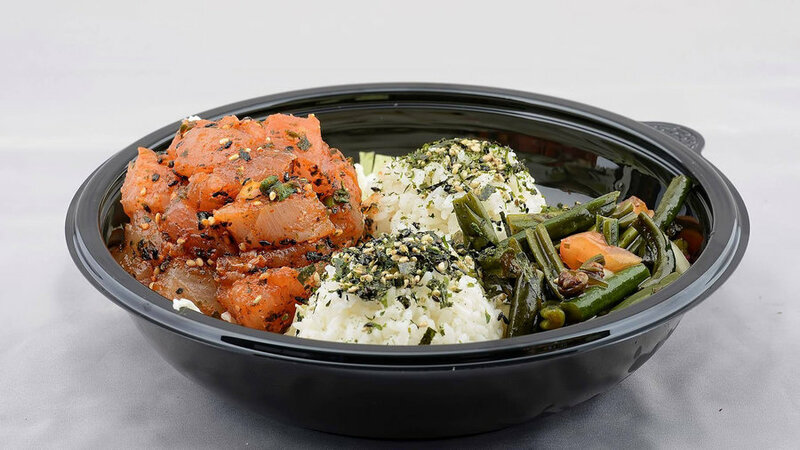 Chef Nakoa Pabre has won legions of followers for his poke bowls and poke bombs (cone sushi topped with diced, marinated raw seafood), but also excels in cooked entrees such as char sui chicken, pulehu beef, and grilled fish. Get it to go or dine at a picnic table at the original Alii Plaza location, or enjoy a sit-down meal in the handsome but casual (with bar service) just outside of downtown Kailua. No other Hawaiian island has an active volcano--and the Big Island boasts two, including Mauna Loa, the largest on earth. 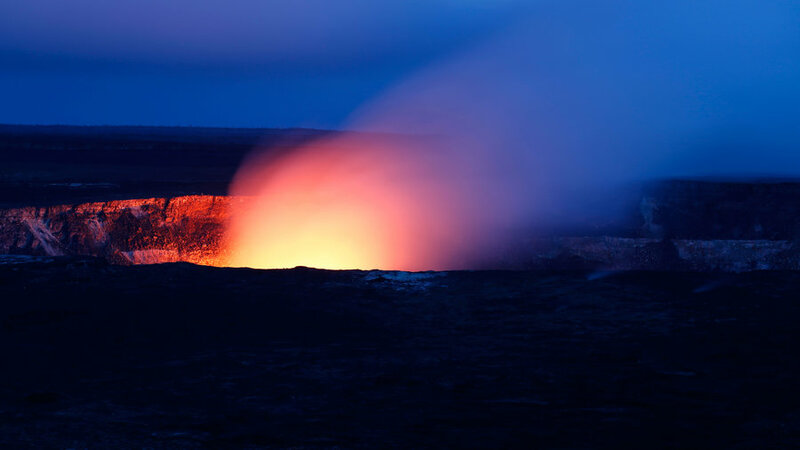 While flowing molten rock is never guaranteed, spend a day or more investigating its cycle of destruction and creation at Hawaii Volcanoes National Park, where steam vents, giant craters, and a walk-through lava tube are easily accessible. When lava is entering the sea, Hawaii County also offers a in Kalapana--check the website to see how active the lava is and what precautions you should keep in mind when you visit. 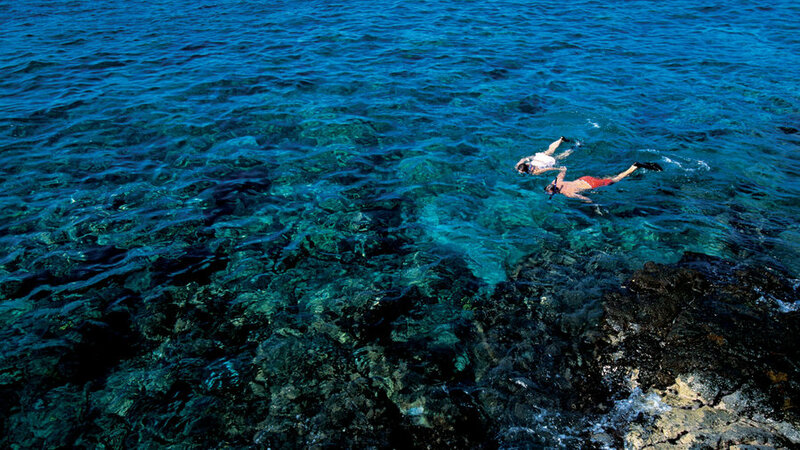 Whether you dive or snorkel, the ocean’s clarity along the Kona and Kohala coasts and its abundant reef life make for an impressive show. Head to , where Capt. Cook is memorialized, to see colorful fish, sea turtles, and occasional pods of dolphins; you can also just wade into the water at popular , less crowded Waialea Bay (Beach 69), or any rocky point on resort beaches, all open to the public. 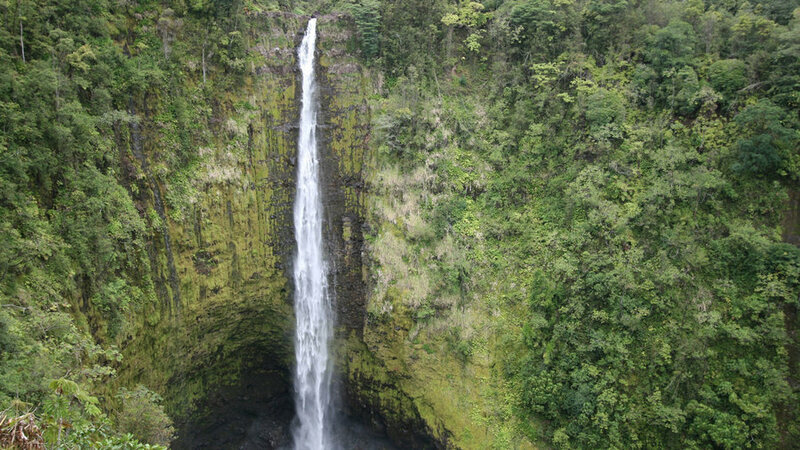 East Hawaii brims with waterfalls that can turn from lacy trickles into thundering cascades within hours. Two of the most spectacular are the triple-tiered , viewable from zipline tours ($189) or easy self-guided hike ($10), and 422-foot , on a half-mile loop trail in a state park ($5 admission per vehicle). It’s free to visit , which is home to Rainbow Falls and Boiling Pots. 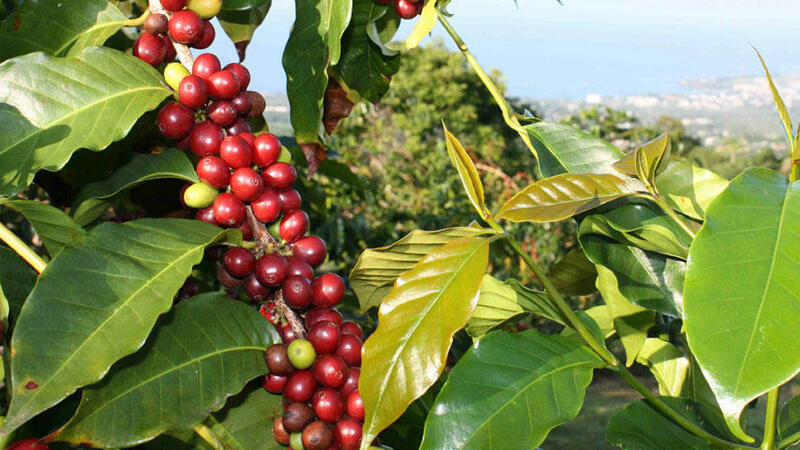 Although coffee’s roots on the Big Island date back to 1828, the bean that became synonymous with Kona arrived from Guatemala in 1892; today some 650 farms covering 3,500 acres cultivate coffee trees, which flower with white blossoms called “Kona snow” between January and May. Learn more about Kona coffee’s history, science, and culture with a free tour at . This plantation is one of the oldest on the island. Tours are offered daily from 8 a.m. to 4 p.m.